Combination files contain comes with zip file inside the zip package we share combination files, along with flasher, latest Samsung USB Driver and how to flash manual guide. Samsung Galaxy SM-J700H Combination ROM mainly used for advanced maintenance, there are some reasons to use this File. However, Combination file has the ability to recover IMEI, Baseband or some software error and also use for Remove FRP. combination Rom is the factory Binary 3 file for Samsung Galaxy devices, by the builder, We do not test this files. combination file, when loaded into your device, will lose all features, including call, play games, surf the web, take pictures. 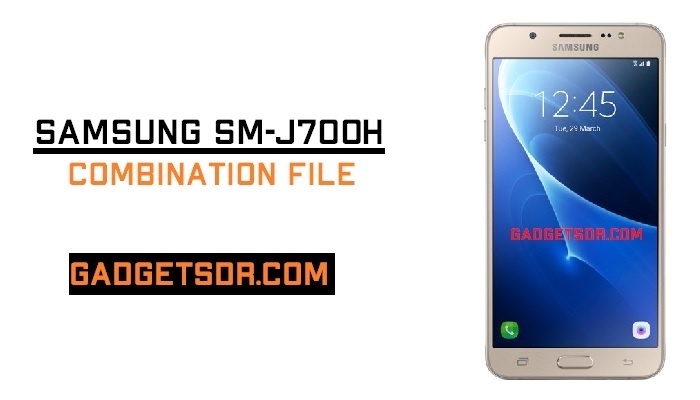 Download Samsung J700H Combination file for Unlock FRP (Factory Reset Protection). Fixed the Root device key. It helps to fixed Stuck on Logo problem. Remove the device protection with Google FRP. Note:- we will update all the combination files links when a new version of Combination Rom will release. First of all, we give you an example of Combination file number. That’s mean if your devices have the Booloader version of (U3) then you need to download same (U3) version of combination file to flashing. -Follow the all procedures very carefully. -Do this at your own risk. -Make sure your devices are fully charged or have 70% battery before you anything with your device). -Always use the latest version of Odin flasher tool. -Download and extract Samsung SM-J700H Combination file U3. -Extract the Odin tool on your PC. -Then open the extracted folder. -After that, Open Odin Flash tool Folder. -Then on Odin tool Click on “AP” tab. -When Boot Release All Keys. -Then Press Volume Up Key for Confirm Download Mode. -Now your Device Boot in Download Mode. -Now Connect your Device To PC. -Press the Start Button in Odin tool. -Now Sit Back and Wait for Finish. Thanks for visiting us, Comment below if you face any problem With Download Samsung SM-J700H Combination File U3 (Firmware Rom), we will try to solve your problem as soon as possible. you can check other some tutorial here to help you.